Bowmasters is a trajectory shooting game (Aim and Shoot) for both Google Play and Appstore. This game was developed by Miniclip.com, a game inspired by games of the same genre as Angry Birds or DDTank. Unlike FPS games, trajectory shooting games are easier to play, less stressful because they are simple and fun to play. 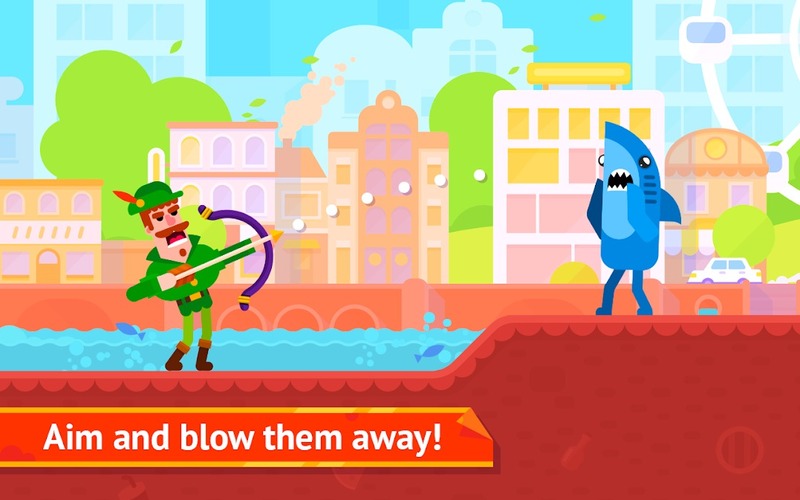 The gameplay of Bowmasters is simple: touch the screen and swipe in the opposite direction and then your character archery or throw the weapon in hand. Simple, easy to play these does not mean that everything will be easy. You must accurately calculate the power and angle to get an accurate shot. After your turn is your opponent turn, if you miss the shot they will finish you. In that, a headshot will deal more damage than normal. If your HP bar is zero, you will die and lose the game. The game has no plot if it has you don’t need to care. No one knows why the characters in the game want to kill each other. Your task is simply to take down all the enemies to win. I think if the game has a short story, maybe it will be more interesting. When playing Bowmasters, you usually have a tragic and bloody end. This game is a great form of entertainment. Each match lasts only 1 to 2 minutes, so it does not take much of your time. 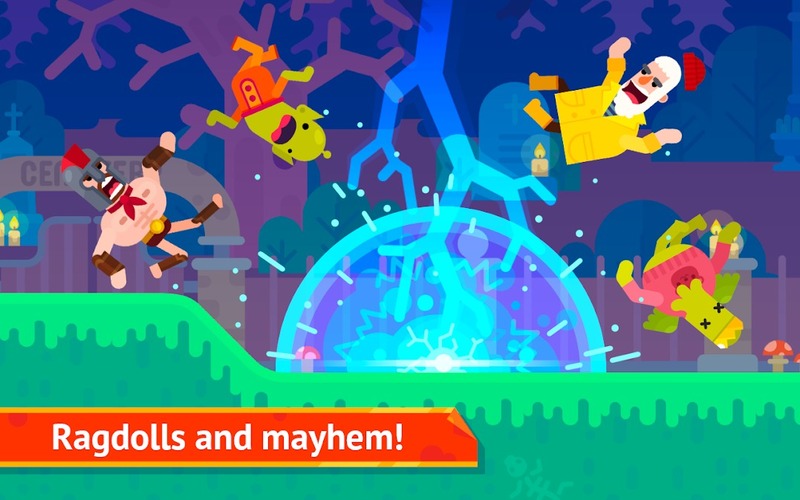 Bowmasters‘s graphics are quite bright and colorful. That helps the game to reduce the intensity of violence. When you hit an enemy, they are not only bleeding but also flying flesh, you can even see the bone. If you are an adult, this is quite normal and fun, but for kids, it does not match even though the gameplay is good for all ages. Characters and scenes are based on 2D graphics are humorous. You will watch the ad when opening a chest or after a game. It will give you a large number of coins every day. You can buy the no-ad version of the game for having a better experience. 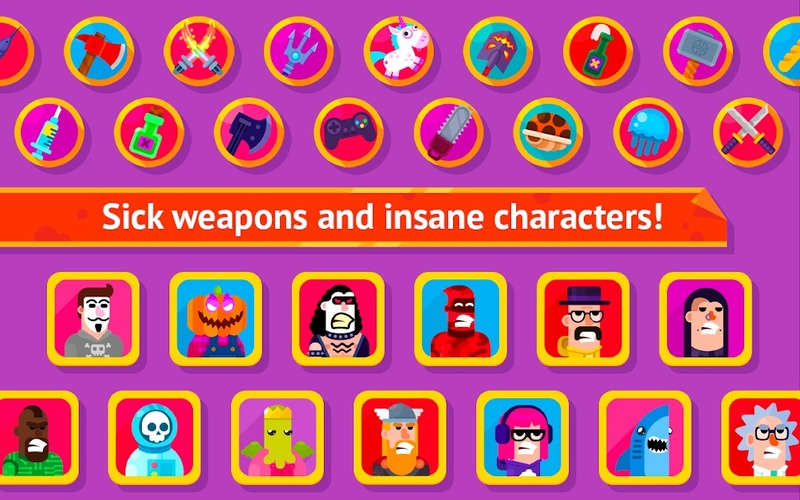 The game is free, however, there are many items and many characters are bought with cash. You can still get the chest and many other characters during the game. The most interesting thing about Bowmasters is that you can unlock a lot of celebrities in comic books, One Disney animations or Cartoon Network and even legendary characters. The weapons of the characters will depend on the character, such as Deadpool using the sword, Thor using a hammer or a Viking warrior using the axe. Even, you can own “the dubstep king” Skrillex. Bowmasters have quite a lot of fun modes. In traditional mode, you will face 1vs1 with any online player or AI. Challenge your friends, invite them to the game and let them know who is the best archer in the game. You can choose “fixed” or “move” targets, experiencing a variety of battles and getting rewards. 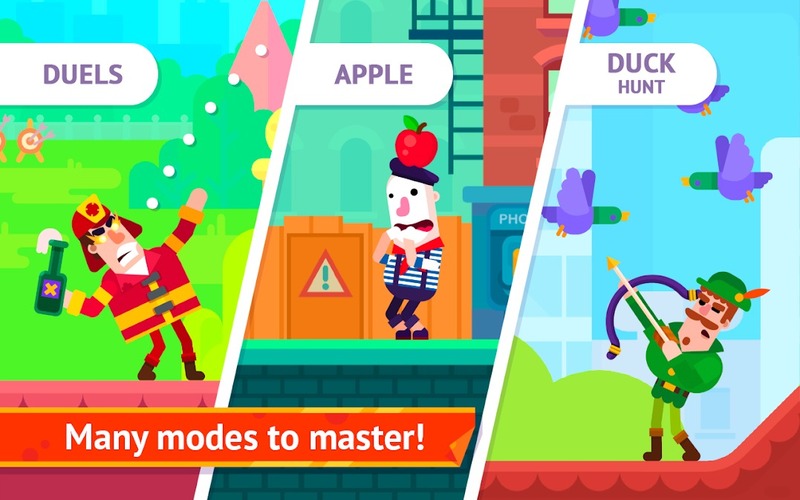 Also, Shoot the Apples, Hunting Ducks are some minigames that you can choose. An exciting tournament between online players will take place weekly, do not miss the opportunity to show off your talents. Overall, trajectory shooting game is not a new type of game, but Bowmasters still know how to make players feel surprised with so many special features. The games are available below, you can download via the links below. 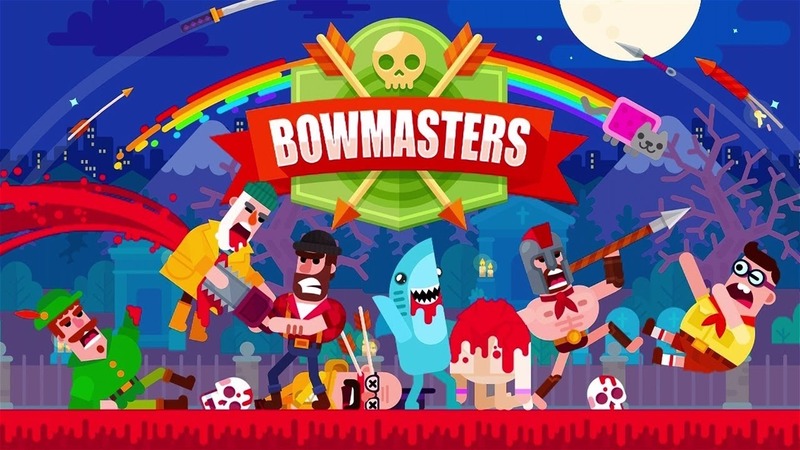 Bowmasters MOD APK is ready to download! Depending on your needs, you can download Bowmasters MOD APK or Bowmasters Original APK. Or install from Google Play / App Store if you want.